Congratulations goes to Michelle Murr on passing her driving test today. 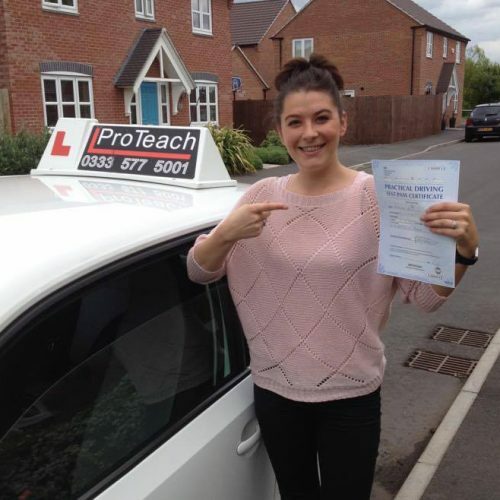 Michelle passed on her first attempt with just one driving fault. She took an intensive driving course this week with our instructor Bob. Well done again from Bob and all the team at ProTeach.